Very sad news: Stuart Abelson’s wife Betsy died in a snowmobile accident Saturday. The family is requesting privacy. More information when available. The following obituary was located at the two links at the bottom of this post and is copied here (with slight modification simply to merge the two) because obituary pages are sometimes removed from their websites. Longtime member Gene Davis has passed away after a brief illness. Our love, thoughts and prayers go out to his wife Sharon, and daughters Kristen and Shannon and all of the family. Gene was a jumper in local, regional and national competitions’ and always gave us a thrill. He was a senior Judge and was a very sought-after technical controller for record tournaments including the Masters, Nationals and World Championships. He was Chair of the AWSA Technical Committee for many years, past AWSA president, and was instrumental in bringing the technical standards up their current standards and has taught many the tricks of the trade. With great sadness and grief, the family of Lee Mershon announced his sudden passing in West Palm Beach, Florida on November 8, 2018. The obituary may be viewed here. Roger Hammel passed along: Lee and another former Eastern Region skier were working on skis when lee was stricken with a heart attack. He had been skiing and driving with others a couple of hours prior. Lee was participating in our sport that he loved quite literally right up to the last moments of his life. 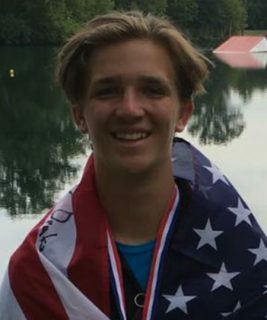 Lee was an avid water skier and won many state, regional, and national championships. He was a senior three event and Pan-Am judge at waterskiing events and was chief boat driver and chief judge at Nationals. He was a test driver and helped design and approve the ski boat “Ski Centurion” for tournament use. He served on the American Water Ski Association rules committee for many years. He was the first recipient of the Gertha Hancock Award. Lee found a great deal of pleasure in sky diving, scuba diving, and flying his own airplane. Please keep his wife Bonnie in your thoughts. A memorial service will be held Friday November 16th 2pm at Williamsburg United Methodist Church 500 Jamestown Road ,Williamsburg, VA 23185, (757) 229-1771. There is also a memorial service for Lee in Wellington, Florida. It will be held at St. David’s In The Pines Episcopal Church, Forest Hill and Wellington Trace, at 2 pm on November 27, 2018. Congratulations to our talented skiers from the East. Under 17 Team member: Blake Keller from Avon, Conn. 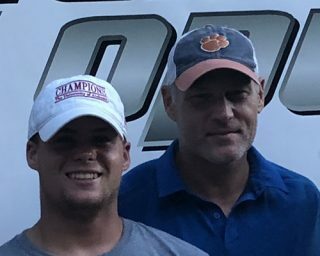 Under 21 Team member: Quinn Haines from Avon, Conn.
Over 45 Team member: Hutch Haines from Avon, Conn.
Catching up after a fun-filled summer, I’ve posted the records forwarded to me by Chip Shand. Please note: The skier is responsible to apply for a record in a timely manner. There is currently no paper form; submit your Eastern Region records via online form, or contact Chip Shand directly. It may take some time for the page to be updated after verification. Again, region records (not state), will be included on this site. Check the appropriate page of records before the end of the calendar year to make sure your record is properly recorded. Year-end is deadline to be included in following year’s guidebook. Jake Abelson broke his father’s 33 year-old record in B2 trick. AWSA rules states that a performance in a Masters division can count toward the skier’s age group record if the conditions were the same. As a result of the above, some historical records were updated. Occasionally, Chip will come across other records missed and will record them. –Nationals 2018-was extraordinary, Mystic lakes was a fantastic host site and the people of Mystic lakes could not have been more welcoming to our AWSA family. This was the largest # of competitors (728) since 2010 and pulls (1340) since 2004. 4 years ago Nationals was in bad shape and we couldn’t even find a host, so glad to see happy LOC’s and happy vendors and great competition again. We have bids, and our #’s are up 32% in 2 years. –America’s Cup-Simply WOW as well. This was a huge addition to Nationals, we wanted to bring the US Open back for years and I think we have done so in the form of the America’s Cup. A true 3 event pro tournament that is aiding in nationals attendance. We went from our usual 10 open skiers to 64, so it was great to see the best show up for our Nationals. I think that any in attendance will not soon forget the show put on by our amazing trickers skiing at elite level under the lights. It was stunning! We learned a lot from hosting it the first time and we are excited to keep it going. Charlotte is already on board and we already have a sponsor that wants to make overall 2.5 times bigger cash prize. We could not have done this years event without the support of all boat companies so thank them for making this happen. Attention Eastern Region Juniors at Nationals – the juniors party at Nationals is on site at Mystic Lakes on Thursday, August 9th 6:30pm-9:30pm. Join us for some Wichita BBQ, inflatables, swimming and games. The Eastern Region is paying for the tickets for junior competitors from the East, but you need to sign up at the link below. You can also use this link to buy additional tickets at $10 for kids, $15 for adults. See you there. Junior Development Regionals Wrap-Up – Junior Development had a successful Regionals! Lots of juniors accepted the Super Beast Challenge and found ways to help out and volunteer at the tournament. We had 90 junior and parents attend the Juniors Party at The Castle Fun Center. Awards were presented to the most improved skiers in each of the Juniors Divisions: Most Improved Slalom Awards went to: B1 – Aaron Bartlett, B2 – Jack Decker, B3 – Tristan Richardsoon, G1 – Tia Byrne, G2 – Ava Cole, G3 – Kelly Hill. Most Improved Tricks Awards went to: B1 – Freddy Davis, B2 – Jake Ableson, B3 – Rocco Cirilli, G1 – Alexia Ableson, G2 – Samantha Hill, G3 – Kelly Hill. Most Improved Jump Awards went to: B2 Aaron Bartlett, B3 – Evan Robbins, G2 Emma Davis, G3 Sage Pottbecker. Most Improved Overall went to: B1 – Ricky Davis, B2 – Robert Powell, B3 Blake Keller, G1 – Audrey Ableson, G2 Samantha Hill, G3 Whitney Shellhamer. Fundraising efforts brought in just over $1,700 to support our Junior Development activities. Thank you buying silent auction items and raffle tickets. The winner of the free entry to the 2019 Regionals was Susan Maximuk! 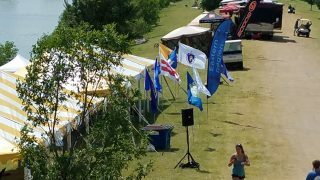 A big thank you to our Junior Development sponsors for 2018: Goode Skis, Kaleidoscope Imprints, Twin Lakes Water Ski Park, Coble Water Ski and Wakeboard Camp, Coble Boat & Ski by MasterCraft, and Peace, Love and Water Skiing. Hello Friends, with sadness passing along info about Randy Youngsma’s passing, http://www.bumafuneralhome.com/obituary/Randall-H.-Randy-Youngsma/Uxbridge-MA/1766547. 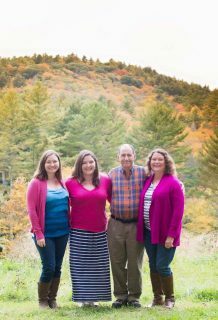 Visiting hours and service are Saturday morning, Dec. 9 in Uxbridge, MA. Randy was an avid water skier and driver for many years in the Mass. and NH areas, especially at Oakham while it was Lex Carroll’s home. We will have more history coming soon. Feel free to add your thoughts in the comments. 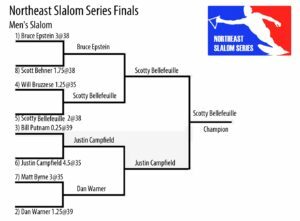 The 2017 Avon Self Storage Northeast Slalom Series (NESS) concluded Saturday at Pangaea Puddle in Canajoharie, N.Y., with Zoe Carpenter and Scott Bellefeuille claiming the Women’s and Men’s titles, respectively, and more than $1,000 in combined cash prizes. No. 1 seed Zoe defeated 2016 Champion Skylar Hathorn in her first head-to-head pairing, then took out No. 2 seed Shannah Pochini in the finals to earn the victory. Skylar finished third. 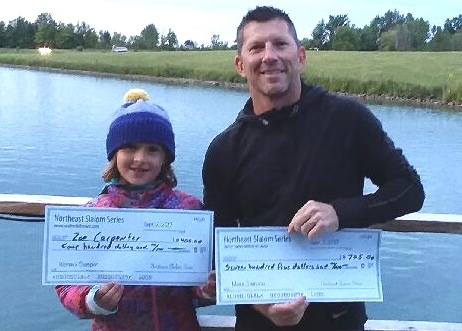 Ten-year old Zoe had a dominating 2017 NESS season, taking first place in each stop she participated in, in addition to a strong performance in the finals. Women’s head-to-head results. Click to enlarge. The story was a little different on the Men’s side as Scott, the No. 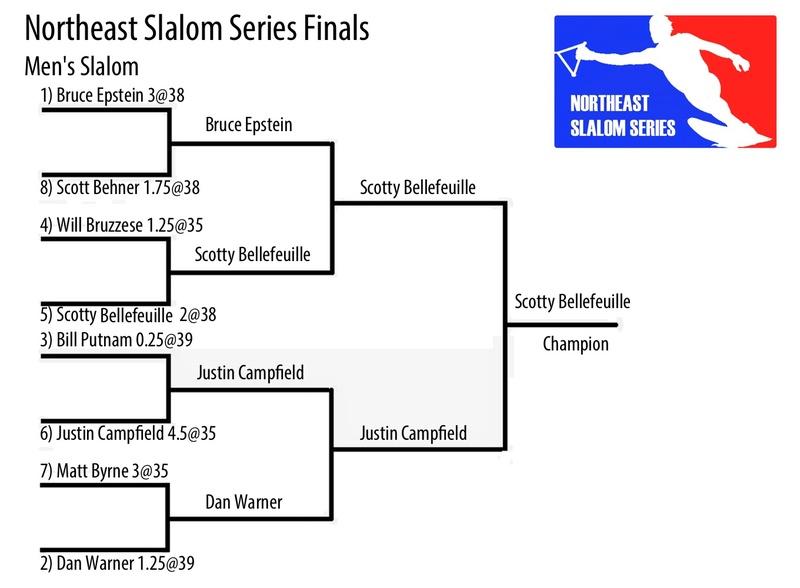 5 seed, emerged from the lower half of the seeds to score an upset win over a field of eight Men’s skiers. Scott topped No. 4 seed Will Bruzzese in the quarterfinals, top seed Bruce Epstein in the semifinals and No. 6 seed Justin Campfield in the final head-to-head round. Dan Warner was third. 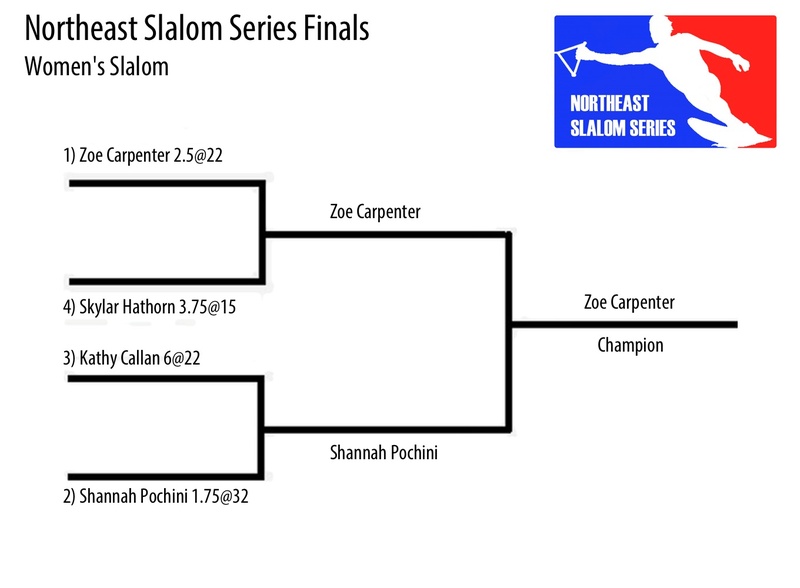 The Avon Self Storage Northeast Slalom Series (NESS) is a seven-stop, five-state tour featuring a season-long points chase culminating in a cash-prize, head-to-head finals. 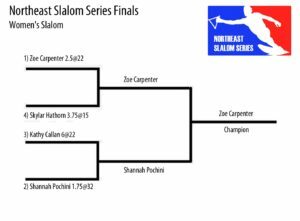 Skiers earn series points at each stop in the series’ season, with those in the top 50 percent of the points standings at the end of the year earning an invite to the finals. Men’s head-to-head results. Click to enlarge. The 2017 NESS season was supported by Avon Self Storage, GOODE Skis, h2oproshop, Foregroup, Hands to Heal Therapeutic Massage & Bodywork and Masterline/Eagle.